High Quality rear brake disc from Galfer. NG brake discs set the standard for braking in trials OEM on many models & precision CNC machined. Ideal replacement discs. 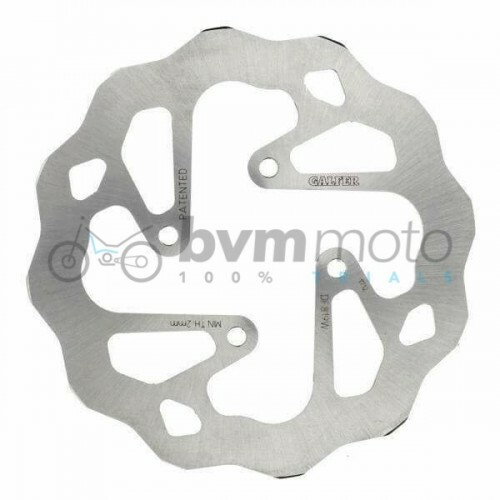 ..
Genuine rear disc guard for Beta Evo models..
High quality front brake disc from Galfer. Bike: Beta Rev/Evo 05 onwards Color: Silver Size: 184,5MM Weight: 222g Type: Front ..
Genuine Beta rear disc bolts to fit the Beta Evo rear hub. 6 X 16 with a flange head.Bolts sold separately ..